Various factors that contribute to dark elbows include overexposure to the sun, genetic factors, dry skin, frequent rubbing, hormonal imbalance, dead skin buildup, obesity and increased melanin pigment. There are several easy yet effective treatments to treat this problem. Do you want to know which home remedy will help you treat dark elbows? If your answer is “Yes”, then you should read this writing. 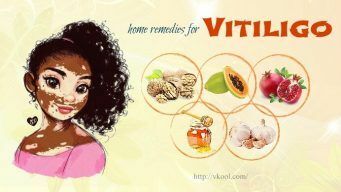 In this article, VKool.com will show you top 10 natural home remedies for dark elbows. The writing is collected from reliable sources. However, it is not intended to give medical advice and it is solely for the informational purpose. Keep reading this writing to understand more! After each bath or shower, you apply coconut oilon your elbows and then massage gently for about 1 to 2 minutes. You should reapply a few times daily to prevent dryness. Alternatively, you can mix coconut oil (1 teaspoon) and lemon juice (½ teaspoon). Rub this mixture on your dark elbows and then allow it sit for about 15 to 20 minutes. Finally, wipe the solution off with paper towels. It is recommended to repeat this once every day. Another option is to add enough coconut oil to walnut powder (1 tablespoon) to make a thick paste. After that, you use this paste to exfoliate dark skin patches around your elbows about 2 or 3 times per week. Lemon contains natural bleaching and exfoliating properties as well. Especially, it contains a powerful amount of vitamin C that helps lighten skin tone and remove dead cells. In addition, it can also encourage regeneration of healthy skin cells. For optimal results, you can use it as follows. Simply, you apply lemon juice on your elbows and then massage gently for some minutes. Allow it on for at least 20 minutes. Finally, rinse it off with warm water and rub a moisturizing lotion. Another choice is to extract the juice of one lemon and mix it with honey (1 tablespoon). Apply it on the troubled areas and then allow it on for about 20 minutes. Rinse it off with water. You had better follow either of these treatments once every day for several weeks. After applying lemon juice, you should avoid sun exposure for the next three hours. Mix one teaspoon each of white vinegar and plain yogurt to make a smooth paste. Rub it on the troubled areas and allow it to dry. Wash the paste off with warm water, pat dry and then apply a moisturizer. It is suggested to repeat this daily for a couple of weeks. Alternatively, mix gram flour (2 tablespoons) and plain yogurt (1 tablespoon) to make a thick paste. Rub it on your dark elbows and allow leaving it on for about 20 minutes. Then rub with wet fingers in order to remove this paste and wash with water. You should repeat this 2 or 3 times per week. Using sugar is also considered as one of the great home remedies for dark elbows. Especially, sugar granules help soften the skin and exfoliate dead skin cells as well. For positive results, you can use it as follows. Mix sugar and olive oil in equal amounts to make a thick paste. Apply the paste on your elbows and using circular motions, rub it around for about 5 minutes. Rinse it off with warm water and a mild soap. You should do this once every day until your skin tone around the elbows lightens. It is suggested to follow this remedy on a weekly basis. Prepare a paste with milk (1 tablespoon) and baking soda ((1 tablespoon). Apply it on the troubled areas and rub it around your elbows in circular motions for about 2 to 3 minutes. Wash this paste off with lukewarm water and then pat dry the area thoroughly. It is recommended to follow this remedy every other day until you are satisfied with the results. Aloe vera helps keep the skin moisturized and hydrated as well. In addition, it can help maintain an even skin tone. For expected effects, you should use it as follows. Allow it to sit for about 20 minutes and then rinse it off with warm water. You had better repeat about 1 or 2 times every day for several weeks. You can mix coarsely powdered almonds (1 to 2 tablespoons) with a little yogurt to create a thick paste. Next to apply it on your darkened elbows. Leave it to dry and then rub it with wet fingers in circular motions. Rinse this paste off with cold water. It is suggested to follow this once or twice every day for a couple of weeks. Alternatively, massage your troubled areas with warm almond oil for at least 5 minutes every day before bedtime. You should notice improvement within several days. Mint has a few volatile oils that can promote collagen in your body. In addition, it helps maintain skin tone as well as make skin glow with health. For desirable results, you can use mint as following steps. Boil water (½ cup) with a handful leaves of mint for about 2 to 3 minutes. Next to, add the juice of ½ lemon to this solution, strain and then let the solution cool down. Dip a cotton ball in this mixture and apply it on your elbows. Allow it on for about 15 to 20 minutes and then rinse it off with warm water. It is suggested to repeat this treatment about 1 or 2 times every day until you get the positive results. Mix milk cream (1 teaspoon) with a little turmeric powder. Next to apply it on your elbows and then massage for about a few minutes. Leave it to dry and then rinse it off with lukewarm water. Alternatively, you can combine gram flour and turmeric powder in equal amounts. Next to add a little rose water to this mixture in order to make a paste. Then massage the paste onto the elbows. Allow it to dry. Finally, scrub off it with lukewarm water. You should follow either of these treatments once every day. You should notice improvement within 1 to 2 weeks. Cucumber is also one of the excellent natural home remedies for dark elbows. In addition, cucumber will aid in removing impurities from the outer skin layer and help keep the skin moisturized as well. To see good results, you can use it as follows. Gently place thick cucumber slices over your elbows for about 10 minutes. Allow it for another 5 minutes and then wash it off with cold water. It is recommended to follow this treatment every day. Alternatively, mix lemon juice and cucumber juice in equal amounts. Stir in a little turmeric powder. Then apply it on your affected areas. Allow it on for about half an hour and then rinse it off with water. It is suggested to follow this every day for desirable results. Massage your elbows with cocoa butter or shea butter every night before bedtime. Rub a thick sliceof potato over elbows for about 5 minutes every day before taking a bath or shower. You can rub a small ripe papaya slice onto your skin to enjoy supple and soft skin. Scrub the skin regularly with a pumice stone or scrubber. Use moisturizer regularly on your skin in order to prevent dryness. Wear long-sleeved and full-length clothes when the temperature is high and you are out as well. Follow a healthy diet that includes minerals and vitamins for optimal skin nourishment. Drink about 8 to 10 glasses of water daily to enjoy healthy and soft skin. 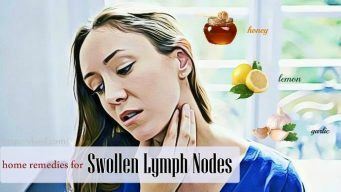 To get more information related to effective home remedies for health problems, go to our main Home Remedies page. Try these effective home remedies right away and be relieved of dark elbows. You should use above remedies for at least one or two months to receive optimal results. After studying the writing of top 10 natural home remedies for dark elbows, hope that this article will help you find out the best solution to improve dark elbows fast and effectively. However, the writing is solely for the informational purpose, so you need to get advice from your doctor before applying any home remedy. If you have any question or comment, please leave them below, I will respond you as soon as possible.